Public hospitals in two major cities have announced increases to doctors' fees and steps to lower medicine costs. However, one expert says the central government should let the market set fees for physicians. Two years ago the State Council took steps to lowers costs in the public health care system, largely funded by sales of prescription drugs. Now, two governments are announcing major reforms on their own. In May, Shenzhen and Beijing raised doctor fees while announcing new guidelines to cut prescription drug costs. Hubei, Shaanxi and Jiangsu provinces are also mulling plans to raise physician fees. Across-the-board increases for physician services were first implemented in Zhejiang Province last year. Beijing raised doctor fees from a standard 14 yuan per session to up to 100 yuan for specialists. A session with an associate chief doctor now costs 60 yuan while a chief doctor visit is now 80 yuan. 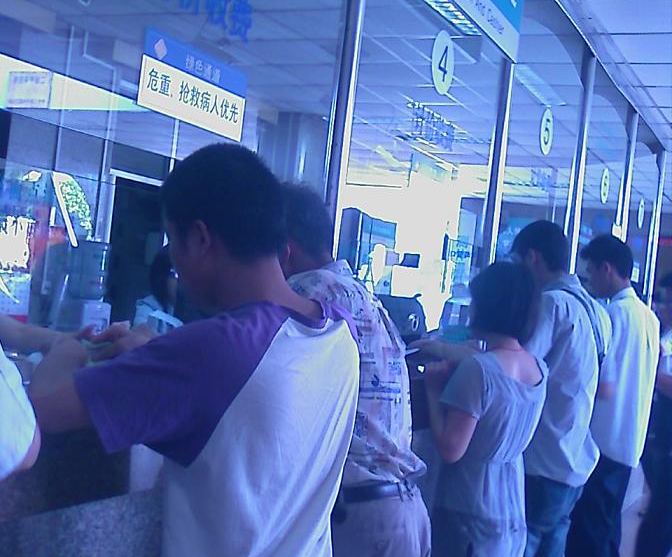 In Shenzhen, the fee to visit a doctor rose 12 yuan on average. Song Ruilin, executive director-general at the Research Center for Medicinal Policy at the Chinese Pharmaceutical Association, said the central government should let the market set the prices for doctors' fees. The two governments also announced they would not allow hospitals to mark up prescription medicines anymore. The central government allows hospitals to mark up drugs 15 percent. Capital University of Medical Sciences Professor Cui Xiaobo said eliminating the mark-up will not stop hospitals and doctors from receiving commissions from pharmaceutical companies.